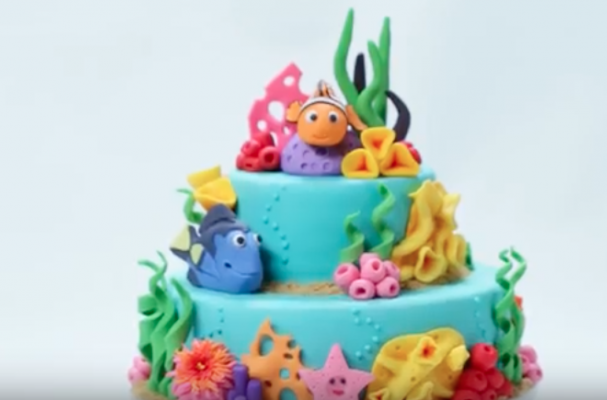 In celebration for the premier of Finding Dory (the sequel to Finding Nemo) tomorrow, we wanted to share this awesome layer cake tutorial featured on Nerdy Nummies. This themed cake is as easy as it gets. Besides the baking basics, all you really need to know is how to work with fondant. If you don't have the patience to create the characters, you can always purchase the figurines and add them to the cake. Adult and kid Finding Dory fans are going to love this creation.